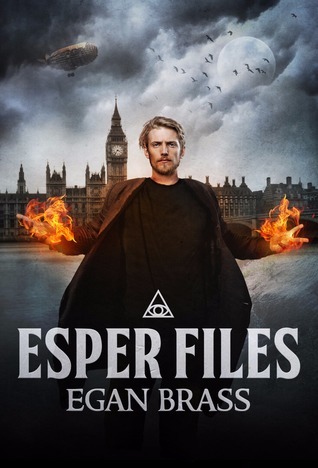 Last year I wrote a short story entitled “Ironed Man” that I submitted to an anthology with the theme “Steampunk Superheroes.” While my story didn’t make the cut, clearly the idea already has merit as shown in Egan Brass’ Esper Files. Just like my “Jurassic Manor” short story was a series of tongue-in-cheek references to the film, Jurassic Park (1993), “Ironed Man” was an alt-genre parody of the Iron Man franchise. I can only assume that Esper Files decided to do the same thing and merely put X-Men in steampunk form. If you like X-Men, you’ll probably like this book. Despite many of the characters and trappings feeling like they were pulled from an X-Men fan fiction, the story still has some merit. What I found impressive about the narrative were the action scenes. I know how difficult it can be to write fight scenes with lots of supernatural powers, so the concise and descriptive way Egan Brass does it really helped drive the conflict between the Institute (read: Professor Xavier’s X-Men) and The Baron (read: Magneto’s band of mutant misfits). And even if the overall plot was somewhat simple, each scene added to the explanation of what was happening. What distracted me the most in this book were the number of typos and other errata that were sprinkled throughout. There was nothing worse than being in the midst of a really great battle scene, only to have my mind come to a complete halt at the sight of an incorrect word or awkward phrasing. Fortunately, most of these errors seemed to be clumped together, even if it was toward the end of the book. I also commend Egan Brass for his . . . unique use of adverbs, even going so far as to make some up to fit the story (at least I’ve never seen some of these adverbs before). A steampunk story that heavily borrows from X-Men (to its benefit and detriment), I give Esper Files 3.5 stars out of 5.